There are a few hidden features in the Glasnost interface that make it easier to view information, especially if you have limited screen space. We use them day in day out but you may not know they exist. So, instead of boring you with dull text explaining do this, do that.... here is a very quick video (now in HD). You can also watch the movie on Vimeo. Glasnost 21 and Virtual Assistants - The perfect match ? If you are a Virtual Assistant then Glasnost has a lot to offer you and could really turbo charge your productivity. For a start the whole service is available online, so wherever you or your colleagues, clients or suppliers are, everyone can access the same information. Also the service was specifically designed for working with people outside of your own company or network. Our subscription plans are based on external users who can access projects and image galleries and internal users who also get the CRM / contact management module. And the functionality we've built into the service covers much of what one needs to do on a day to day basis. We originally built this software to help us run our own web software business and we think the things we required are pretty commonplace amongst 'knowledge workers'. Below is what we needed and what we built into Glasnost. If your requirements are similar it WILL work brilliantly for you as well. Contact Management to: 1. Manage many companies details 2. Manage and interact with many contacts 3. 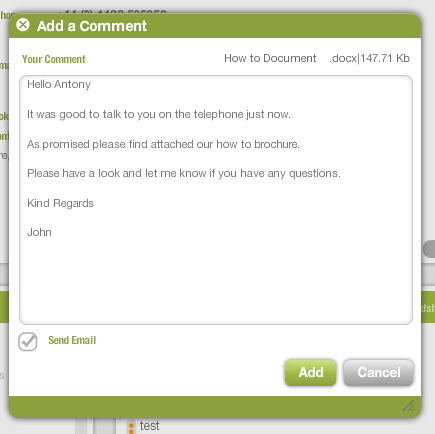 Track all comments, assign tasks and store documents relating to the above 4. Create Task reports for sales meetings 5. Be able to create good looking email newsletters 6. Be able to send these newsletters to unlimited custom mailing lists 7. Link companies to relevant projects 8. Distribute contact details by vCards 9. Keep abreast of what our clients were doing by enabling real-time searching across Twitter, Google News and Google Blogs. 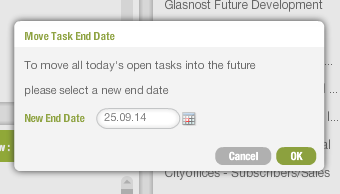 Please take a free trial of Glasnost and let us know how you get on. What is different about Glasnost ? The reason why we built it like this will be in the next post! Glasnost goes to the Antartic ! The Kaspersky Commonwealth Antarctic Expedition will see 8 women from the Commonwealth countries of Cyprus, Ghana, India, Singapore, Brunei, New Zealand, Jamaica and the United Kingdom brave blizzards, crevasses and temperatures below -30C as they ski over 900 kilometres across Antarctica to the Geographic South Pole. As well as building them a website - www.kasperskycommonwealthexpedition.com - the expedition team are using their own 'Glasnost' to manage the whole mammoth project. With team members from all around the world there are a myriad of people who need to contribute or download all manner of digital materials. Glasnost will enable everyone to collaborate and communicate effectively and efficiently wherever they are. The expedition starts on the 12th November and the team expect to arrive at the South Pole around New Year's Day 2010. As a software company we often work on projects with many different parties. Below is a real world example of a recent project which demonstrates how Glasnost can be used to bring everyone together and generate deep, productive collaboration. A client was looking to do a major revamp of their corporate marketing site, involving a significant re-working of their brand, including a new strapline to use with their logo. Now various members of our team are based in Surrey, Sussex and London, the client is based in London (but in offices in both the West End and the City), the marketing consultant is based in Manchester, the design agency and copywriter in Oxford. That's 10 people in 7 locations. Without some software help all of us could have spent hours and hours flitting between all these locations, at considerable expense. 1. All the project team were set up on Glasnost. 2. 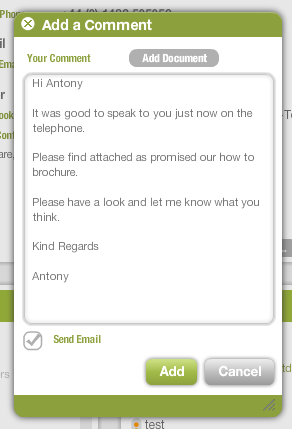 All the company and contact details were added in to the Contact Management Module. 3. A new project was set up and all the parties linked in. 4. A new image gallery was set up, and all parties given access. 5. The gallery was linked to the project and the project linked to all the relevant companies. With this in place (which took just a few minutes) we were ready to go ! The brief was uploaded, consisting of a Word doc and various jpeg's. Thereafter further documents, tasks and comments were added to Glasnost and assigned to the relevant parties, so everyone always knew what they had to do. In addition by clicking on 'All' everyone could also see what everyone else had to do. Every time a comment or task was added or edited all the appropriate people were alerted by email. Altogether 16 documents were uploaded, four of them in multiple version, 28 tasks were added and completed, 52 images were added and commented on and 64 comments were exchanged. Add a number of Skype sessions into the mix and that was pretty much all that was needed. We did meet up a couple of times in person, but largely for social reasons. It wasn't necessary but was fun. Open and transparent access to everything everyone needed to know made the whole process simple to manage and hugely productive. Their new site is now live. Any updates will be handled through Glasnost as it contains a complete record of all the correspondence, documents and images that were used in the development process. Rather than 10 individuals in 5 companies each keeping a record of their part of the jigsaw, with no one having the whole thing, it's now all in one place, with access for all.